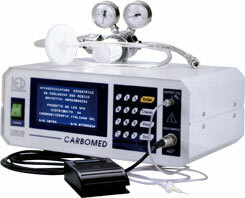 Carboxytherapy Therapy is the new, simple and proven technique that can dramatically improve the appearance of cellulite by improving local tissue metabolism and perfusion. Treatments are rapid, comfortable and effective for a high percentage of patients. Carboxytherapy Therapy works in two complementary ways. Firstly and quite simply, carbon dioxide mechanically kill fat cells. Secondly, it has a strong vasodilatory effect (causes dilation of blood vessels) on the capillaries in the area, which means more oxygen. The increase in oxygen is important because it eliminates the build up fluid from between the cells. The end result is fewer fat cells and firmer subcutaneous tissue.